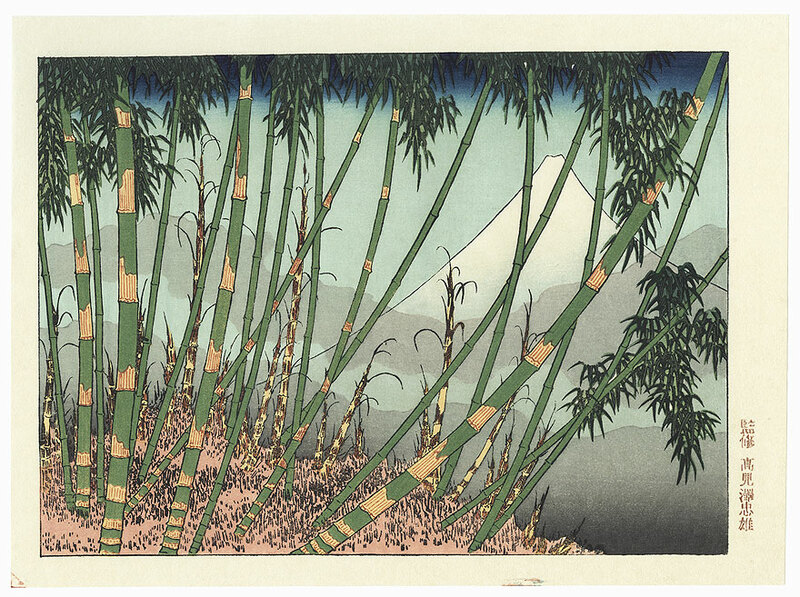 Fuji Behind a Bamboo Stand - Incredible Hiroshige design of majestic Mt. 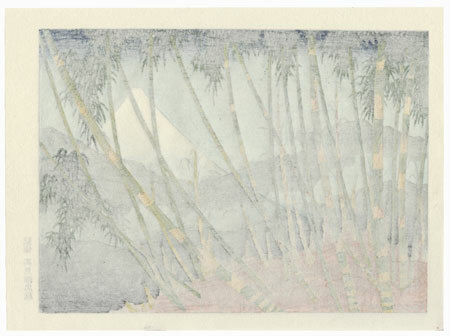 Fuji seen through a stand of bamboo. 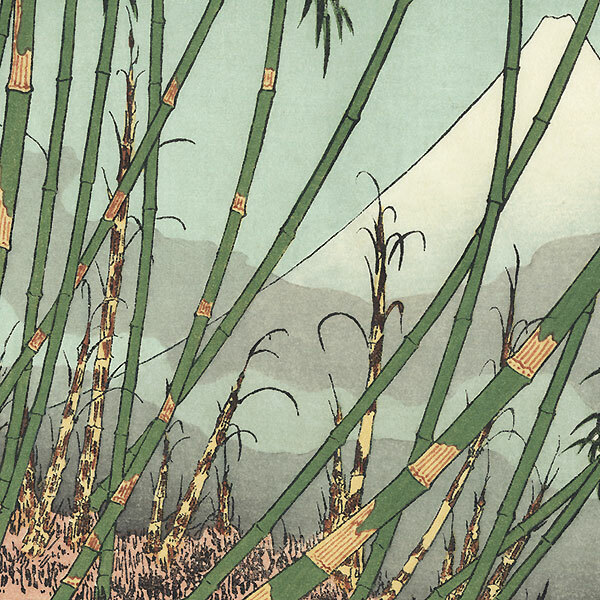 The gracefully curving stalks frame a lovely view of the mountain wreathed in misty clouds. A stunning composition, great for display.